Electricity workers threaten to shut power, demand sack of MD – Royal Times of Nigeria. 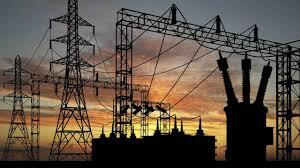 Electricity workers in the country have threatened to ground the country’s entire power structure if the managing director of the Transmission Company of Nigeria, Usman Muhammed is not dismissed. 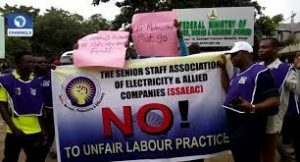 The workers, under the umbrella of Senior Staff Association of Electricity and Allied Companies (SSAEAC), during a protest in Abuja on Tuesday accused Muhammed of highhandedness and anti-labour activities. SSAEAC general secretary, Umar Abubakar, said Mohammed flouted administrative procedures, which he described as unfavourable to their welfare. The workers also accused the TCN MD of single-handedly conducting examinations for staff due for promotion without consulting other management staff. He was also said to have refused to remit appropriate taxes to the Federal Inland Revenue Service causing the revenue service to sealed off their office. In a letter stating their grievances, the workers said Mohammed also cornered funds the World Bank provided for projects in the power sector.